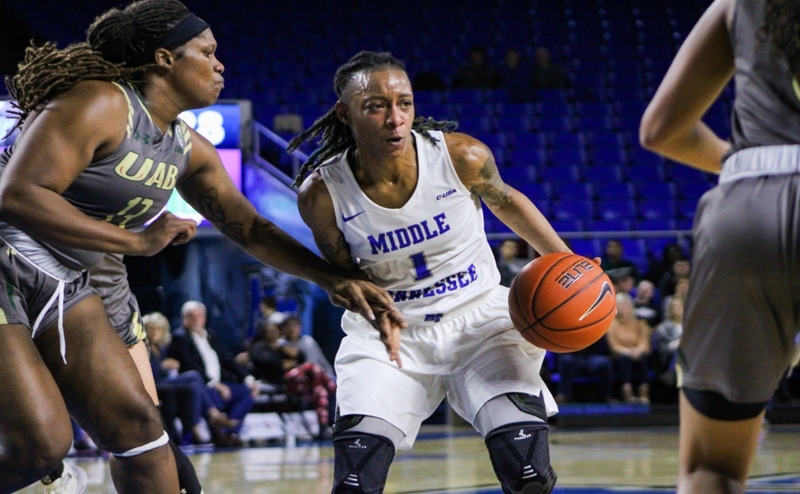 Coming to a new town is never an easy feat, but it’s more challenging when you come in as a freshman student-athlete who plays on a Division I women’s basketball team. 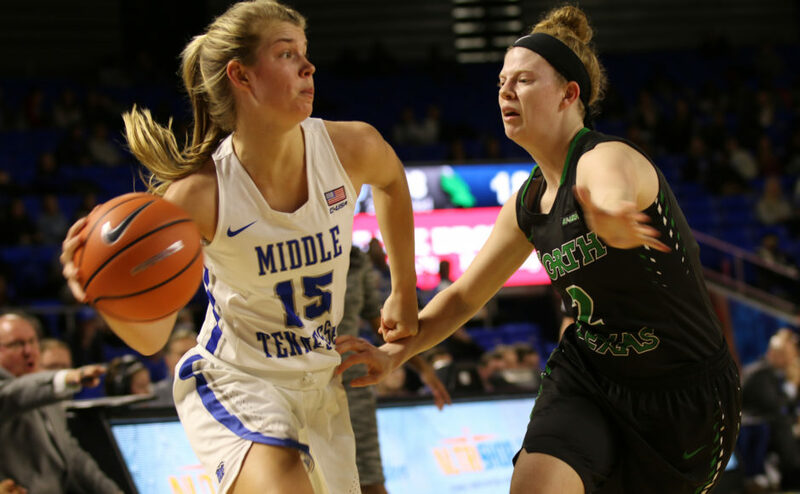 For the Middle Tennessee Lady Raiders, Anna Jones is that athlete. 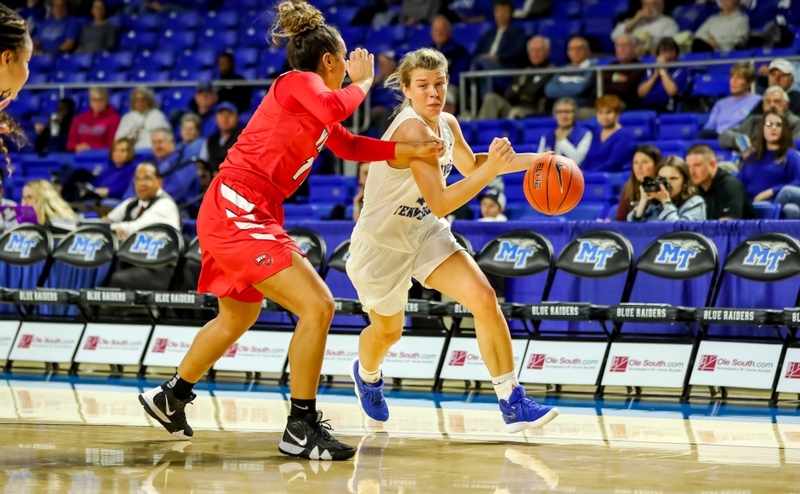 The freshman guard comes to MTSU from Jackson, Tennessee, where she was a star at the University School of Jackson. She was a decorated player there, as she became the all-time leading scorer with 2,794 career points. Although she accomplished a lot in high school, her collegiate career didn’t get off to the best start. She didn’t score more than five points in a game until the Lady Raiders played their third conference game of the season. Finding a role in a system with a lot of upperclassmen guards is hard, but you have to set yourself apart from the rest. While Jones appears to have found hers, it wasn’t always like that. Relationships with your teammates are extremely important. If someone else is struggling, the team will falter as well. It could be a word of encouragement or just more advice on the game as a whole. 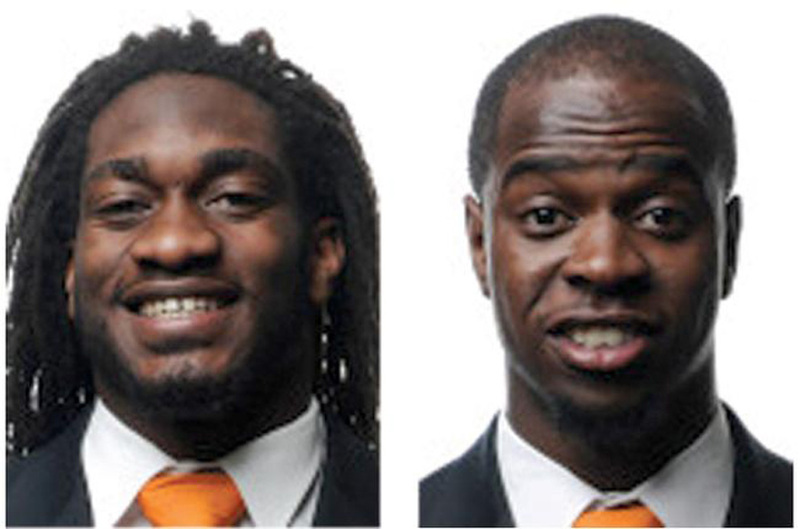 This is just one of a few ways that upperclassmen can help their younger counterparts. Sometimes even the man in charge will give some words of encouragement. Jones is starting the new year off right. In six games played, she’s scoring 12.2 points per game. 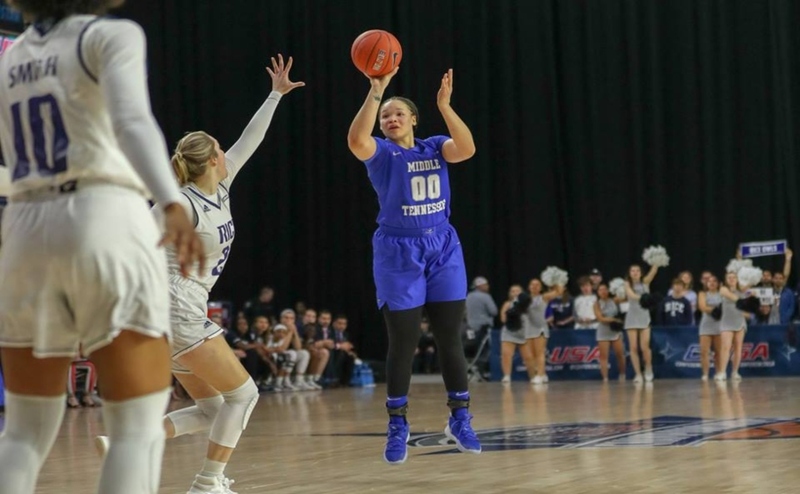 She’s been even better in her last four games, as she has averaged 16.3 points per contest, which almost quadruples her season average of 4.8 points. 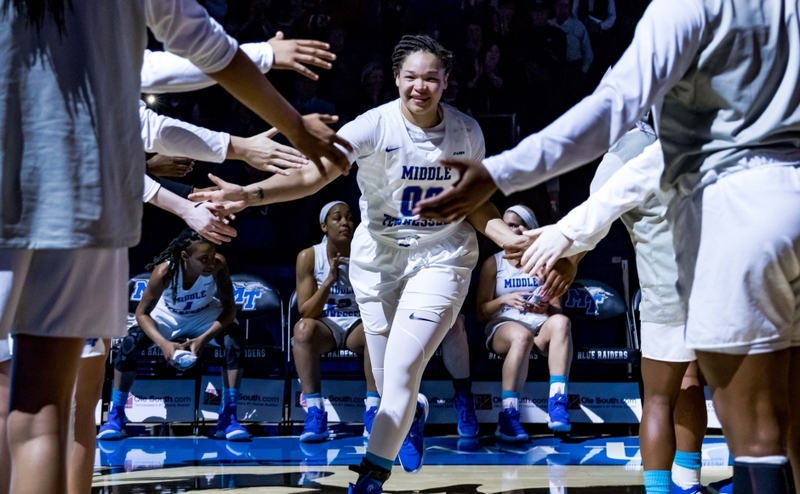 She really shined when MTSU played the University for Texas-El Paso, when she scored 30 points on 10-17 shooting and eight three-point makes. Those eight long-range shots also tied her for the most in a single game by a freshman in school history. While it may appear that she’s only recently had the green light to shoot, Insell gave that privilege to her from the start of her career. Her development is the key to all of this late success, as it has given the team a secondary scoring option when they need it. With her growth, there’s no reason why she couldn’t end up as one of the greatest Lady Raiders in program history.